The Fairfield Bay Lions Club received its charter from Lions International on September 11, 1969 with some 53 original members and meets the 2nd and 4th Thursday of each month at 5:30 p.m. In the succeeding years, there have been many local Lions Club members but throughout those years, the Lions Club motto of “We Serve” has remained our primary goal for the Fairfield Bay community and the surrounding area. Many know the Lions for their involvement with service to the blind and visually impaired, dating back as far as June 1925 with our promise to Helen Keller to “constitute yourselves Knights of the Blind.” Fairfield Bay Lions continue this tradition by assisting those in need with visual screenings and eye ware and by recycling hundreds of pairs of donated glasses each year. Another focal point for over 1.35 million Lions in some 207 countries and geographical areas around the world is our dedication to youth programs. When you are visiting Fairfield Bay, you may notice receptacles outside local businesses and recreational sites for aluminum cans. These cans are collected and recycled. All proceeds used to support local youth programs such as Boy Scout Troop and Cub Scout Pack 401, both of which the Fairfield Bay Lions are the Charter Organization. Other youth programs include the Shirley School Band and sports programs such as baseball and golf, the Arkansas Sheriff’s Youth Ranches, Boys and Girls State governmental learning programs, and the Arkansas Camp for the Blind. If you are visiting the marina, golf courses or other facilities please place your empty aluminum cans in one of our containers with the blue and yellow Lions logo. 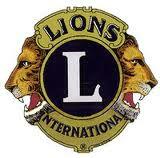 The Fairfield Bay Lions are also very involved with our local community in other ways. While in Fairfield Bay you may enjoy a visit to Woodland Meade Park where you will find Putt-Putt golf, basketball courts, a picnic pavilion and the Lions amphitheater. The amphitheater was constructed largely by volunteers, and funds were provided by a trust from Dr. Stanley Herren, a former Fairfield Bay Lion, and is used for outdoor concerts, summer youth reading program and other activities. The Fairfield Bay Lions also maintain our “Sunshine Room” which has home health aids including walkers, crutches and wheelchairs, which can be loaned to community residents and visitors alike. The Fairfield Bay Lions club is located on Dave Creek Parkway. Please come and join us our fundraisers throughout the year as all proceeds from these events go to support our local Lions Club projects. The pancake suppers will be from 5 – 7 p.m. The Tuesday morning pancake breakfasts will begin Memorial Day week and continue until Labor Day week. Serving from 8 – 10 a.m. each Tuesday.